Travel with Kevin and Ruth! 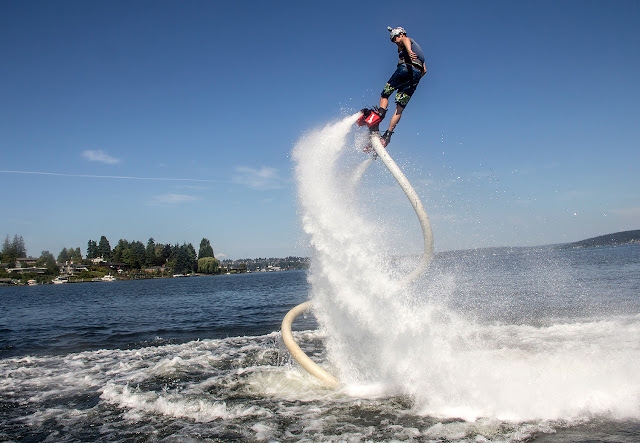 : Flyboarding! Now on our list of things to try! They were competing against the top 20 teams from across the country in what was going to be an 18 hour event. Only 10 teams would cross the finish line, with the others being eliminated throughout the race. and running around Ottawa for a total of 30 km (18miles. Maybe more.) throughout the day. ...I can safely say that yesterday's City Chase Nationals was one of the most intense, mentally/physically draining things I've ever done...And I'd do it all over again! Imagine going non-stop for over 16 hours! Wow! Holy crap! Does that ever look like fun! Apparently it's the latest water adventure craze. Surprised I haven't seen anybody at the park with one of these yet! And in Canada...time to change your furnace filters? Wow! Congrats, Alex and team! WTG! What an amazing challenge! Do they now move onto a World Chase? 3rd - that is amazing! Flyboarding looks like a lot of fun! They are feeling pretty proud of their 3rd place finish. Not too shabby at all when you consider all that they had to do! The flyboarding was his favourite challenge. WOW.....that is so awesome. Please pass along our congratulations. I would have died after the Escaping the manor. Thanks Paul and Marsha, we have passed on the congratulations to them. I might have made it a little further the Escaping the manor but I would have been dead WAY before the end of the day! ;-) I don't know how they did it!!! I wouldn't have made it through four pounds of wings - I think I would have crashed before that - sounds like crazy fun! We meant to ask him last night when we were talking to him if the four pounds of wings were between the two of them or if it was four pounds each. Also keep in mind that they have been running and doing challenges all morning, they would be pretty hungry at this point, plus wings contain lots of bones so it wouldn't really be four pounds of total meat. Yep, he said it was crazy but they had a blast! Truly amazing! A lot of hard work & determination went into placing 3rd. Congrats to your son and friend! Thanks Lori, and yes we agree, a lot of hard work and determination for sure. Anyone that can complete something like this will do really well in life. Congrats Alex and Matt---sounds more grueling than running a marathon! Thanks Dugg, our congratulations has been passed on to them. And, yes way more grueling than a marathon, and Alex has done that before too. Congrats to Alex and Matt sounds like a really tough adventure, with some fun thrown in. Thanks GMF! Yep, a tough challenge for sure but he said it was a ton of fun and that he had the opportunity to do things that he probably would never ever have done in his life otherwise. Sounds like a city version of The Amazing Race. Congratulations to the boys. I saw someone doing the flyboarding on TV this summer. I think I would forget to hold my breath and swallow lots of water! In a way it is like a version of The Amazing Race. That flyboarding does look like fun and Alex said it was his favourite challenge but it is definitely not easy to do. I would probably be the same as you! 3rd place , good going guys ! Yes, we are really proud of them and they are very happy with their finish as well.